Posted at 9:15 AM EST. 3:05 PM EST. The Super Bowl is a big deal. It’s a big deal to the players of the NBA because they all watch it and it’s a very big deal in America, where if it wasn’t taking place on a Sunday, it would likely be ruled a National Holiday. It is safe to assume that 100% of all players and coaches or damn close to that number will be watching the game and most of them won’t be watching it alone. The players on the road already have their plans and the players at home have theirs too. Somebody on the Raps is hosting a Super Bowl Party and there are probably more than one of them hosting. It’ll be a mad scramble after this game to hit the showers and get to where they’re going quickly while meeting their wives or girlfriends at said destination or having to pick them up. The point is that there are many distractions for the home team and any team that is not 100% focused on the task at hand at this level is in big danger of not covering or losing outright but don’t take our word for it. 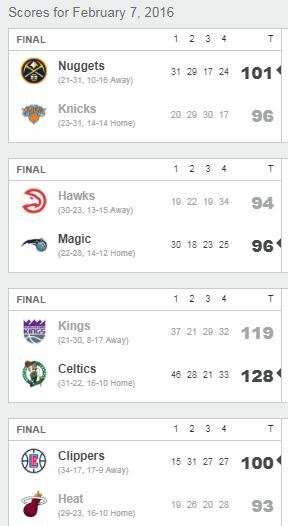 Last year in the Association on Super Bowl Sunday, there were six games and the road team won outright in four of them while one other road team lost by a single point. The road team covered in five games. In 2017, the road team went 3-0 against the spread on Super Bowl Sunday and in 2016, the road team went 3-0-1 against the spread on Super Bowl Sunday (Boston was a 9-point fav and won by 9). Coincidence? We think not and now this dog is getting a whopping 10 points. 2:05 PM EST. Oklahoma +3 -102 over BOSTON (Risking 2.04 units to win 2).